GIRLIGNITE Africa Academy is a youthful brand that uses education for social impact and positive social change. The Academy strives to solve Africa’s challenges by bringing together dynamic and driven African teen girls from across the country to an intensive weekend-away. 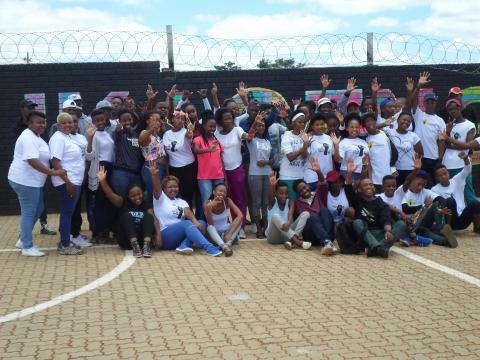 From Friday the 22nd to Sunday the 24th of September 2017, Girlignite Africa hosted their 3rd Annual Summit at the Sediba Kwele Adventure Lodge, and this year, IkamvaYouth female learners from the Gauteng and North-West Region were invited to be part of this event. 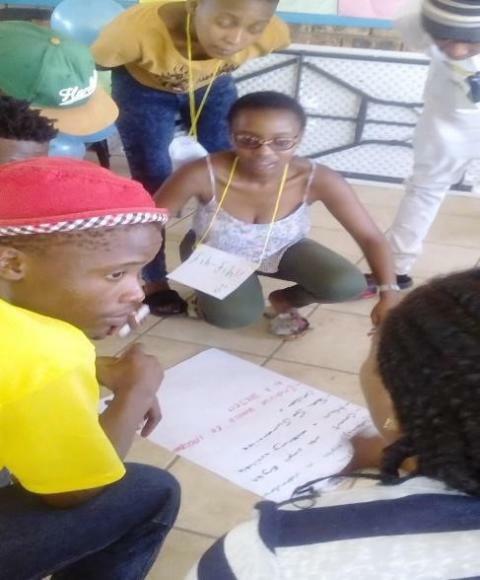 The Ikamvanite learners from the Ivory Park, Ikageng and Mamelodi branches attended the Summit and played a part in finding ideas that would sustainably create socio-economic change in their communities, and in turn, help shape Africa’s future. The 3 day Summit featured interactive workshops, engaging speakers, networking opportunities, outdoor activities and a final round of the Girlignite Africa challenge, whereby groups of girls are given 10 minutes each to pitch their business ideas. GirlIgnite conducts entrepreneurship modules for girls to teach them about the basics of conducting a business and help them to develop a business concept, a business model and a business plan. GirlIgnite also raises funds so that the participants can see their business models come to life. The aim of the annual Summit is to skill the participants and equip them with the necessary tools they will need in life, whether they are employed in corporate, running a business unit or become entrepreneurs. Our learners were exposed to the topics of entrepreneurship, globalization, team building, project management, leadership and working within a culturally diverse environment. The Guest speakers: Mr Gabriel Chapara, founder and MD of Mantis Africa P/L Zimbabwe, educated the girls on financial literacy and Miss Naledi Mashego, founder of BlackCherry Media gave a talk on the importance of digital marketing (Social Media) in the advertising of a business. Ikageng set a goal to continually improve our results and maintain positive momentum throughout the year! Throughout the second term of the year, learners have been partaking in our intensive and hand-on tutoring sessions, various recreational activities and excursions. It has already been great to see learners working together in groups – imagine 165 learners, a number of 37 volunteers and 4 IY staff members all working together! CCBSA Experience and Career Day Coca Cola Beverages South Africa hosted our Grade 11 Ikamvanites for a career fair and job shadowing excursion at their Devland Manufacturing Plant site on Monday 29 May 2017. Learners rotated through the various work stations of the manufacturing facilities and saw first-hand how advanced the Coca Cola production process is. CCBSA staff members shared their experiences and showcased how manufacturing today holds opportunities for advancement and success in a variety of careers. The exhibition was not only enjoyed by learners, it extended to our volunteers and staff too. On the 6th of May, the Grade 12 Ikageng learners attended the North West University’s Open Day. University staff and students gave talks throughout the day highlighting future career possibilities that await the learners. There was also an opportunity for the learners to find out about other areas of the University including sports, global learning and other student support facilities. The branch ran a Matric Week programme from the 3rd to the 8th April. It’s was full week cycle of comprehensive tutoring and support delivered to a total number of 35 learners from our current matric cohort. We worked with a number of 12 tutor that were elected during the Branch Community to deliver three hours of quality tutoring sessions every day from 9h00am to 1h00pm, followed by a number of various educational workshops every afternoon delivered by various IY stakeholders. 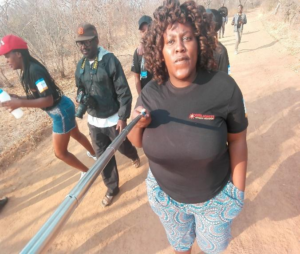 The workshops included the Anti-Drug Campaign, Environmental Education facilitated by North West Parks & Tourism Board; Reading Book Club workshop, a trip to the North West University department of Science for a tour and presentation. On Thursday, the Career Guidance Specialist, Anne-Marie Stanisavljevic, delivered an online career guidance workshop to our learners to help guide their choices and decisions after grade 12. The week ended with the learners online tertiary applications. The branch is working extremely hard to maintain its history of good matric pass rates. 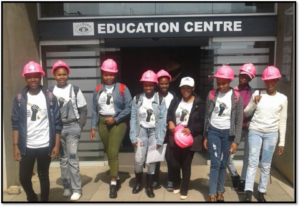 On the 22 of April, the WomEng afforded our learners an opportunity attends the #AskanEng workshop hosted in Johannesburg, at SciBono premises in Newtown. A total number of 12 Ikamvanites girls attended the session, we selected three learners from each grade (Grade 9, 10,11 and 12) according to their academic excellence and their expressed interest in Mathematics and Science. This workshop introduced the exciting world of engineering as a career option for girls and discussions on the importance of maths and science at an early age. We received positive feedback from girls that attended; most of learners say, “I Never Knew That Engineering Had So Many Opportunities” and “I Never Knew This Was a Career Option For Me”. On the 12th of April, the staff members and two volunteers (Molebogeng and Shawn) received Computer4Kids, enabling us to efficiently deliver the computer literacy for our learners across all grades. The objective is to have all the Ikageng registered learners to be gain crucial computer literacy skills and enable them to have better access to information. The lessons ran smoothly and well received by our learners. My Future My Career is an amazing imitative that is driven by Primestars Marketing and Shine Solutions, the objective of this initiative is to expose learners to career opportunities in a fun way (movie screening). Our learners were granted the most amazing opportunity of being part of “My Future My Career”, they learnt so much and had fun. Our mentors have shown interest and are very enthusiastic about the programme. They have been very supportive in that they planned a Mentor day with our Grade 12 learners and helped them with Tertiary applications. After experiencing “Paper jams” and “misfeeds”, one of our Ikamvanite parents donated a printer to the Branch. We look forward to many educational, exciting and memorable moments throughout the year! During the term, we conducted a few educational workshops for both learners and tutors for their personal and professional development. On the 25th of March, Zoe Mann (Community Coordinator) facilitated a tutor training workshop with the Ikageng volunteers. The session was also attended by two members from one of our partner organisations – Rutanang Book Club. The workshop was aimed at replicating the IY model in all branches and ascertain the delivery of quality tutoring by IYs volunteers. Facilitated by Mr Rajen Moodley, a member of Life Eternal Trust that practises Sahaja Yoga, our grade 9 to 12 learners attended a Stress Management and Self-Empowerment course. The workshop aimed at motivating the learners to help prepare them for improving their level of performance and to maintain their academic excellence in the next examination period, and beyond. 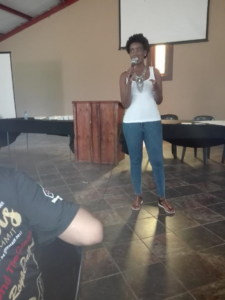 On Saturday the 1st of April, the Ikageng branch hosted a successful strategic planning day. Joined by the branch’s volunteers, together with the staff members, the branch focused on the specific steps necessary to bring quality tutoring into clear focus. The day started with revisiting the IY tutoring model, a refresher on IY Mission and Value. 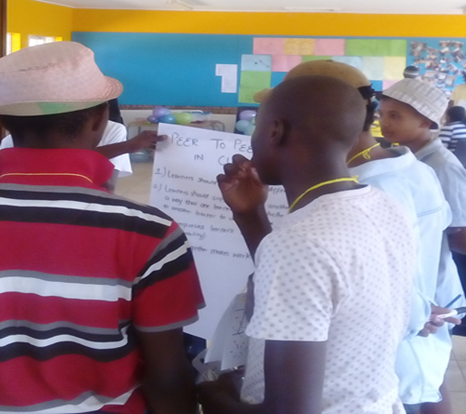 Thereafter, the participants reflected on the first term’s activities, brainstormed, as a result we developed an action plan on improved way of delivering the programmes to our learners. Initially enrolled in the IY programme in 2013 as a Grade 9 learner. Isac Sithole was the Ikageng top achieving learner from our 2016 matric cohort. 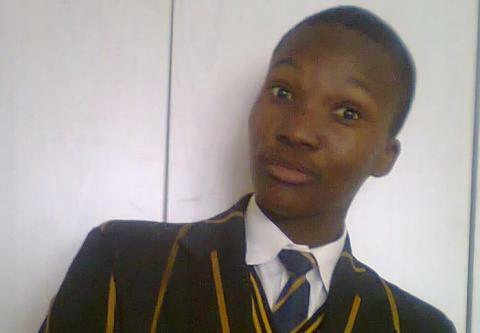 He is currently pursuing his Bachelor of Science in Chemistry Physics at North West University. With his high degree of commitment, Isac has returned to IY as a volunteer. He remarked that the transition from school to university brings a range of new experiences and some of the most exciting social aspects, but most of all it is the moment for one to work harder as it is the start of their career. Lerato started as one of our first Ikageng learners in 2013 and returned to the branch as a volunteer Tutor. She joined the team as an intern in [date] as part of her tertiary programme requirements. The organisation remain in awe of Lerato’s dedication and her ongoing commitment towards our programme. Below are words from Lerato sharing why she chose to join IY and her experience so far. Overall term 1 was a great success and looking forward to more fun ahead of us! The North-West Province saw a notable increase in its matric results this year. Matriculants in the Province managed to achieve an 86.2% pass rate, which represents a 9% from 2015. 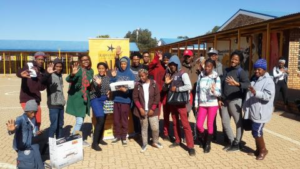 The IkamvaYouth branch in Ikageng (situated at the Thembalidanisi Primary school) saw the latest cohort of Matriculants achieving an 80% pass rate, with 70% attaining Bachelor passes or Diploma passes, ensuring their eligibility for tertiary education. This is the third cohort of Matriculants that has gone through the Ikageng branch, making a big step towards earning a dignified living. 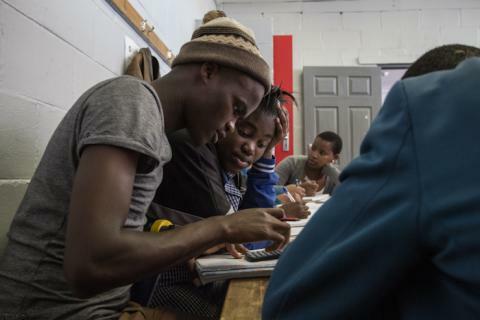 Access to learners is one of the challenges that come with running an after-school programme. Learners often find themselves caught between attending tutoring at IkamvaYouth or attending sessions at their schools which can sometimes be mandatory. To overcome this hurdle, on the 23rd of February 2016, IkamvaYouth and the North-West Department of Education and Sport Development signed a Memorandum of Agreement which stipulates that “The Department and the NPO have a common objective to ensure learners pass and access post-school opportunities in relation to access to tertiary education and/ or formal employment.” Working together, we are able to “enhance and maximise the use of scarce resources”. This collaboration has definitely had an impact on the outcome of our Matriculants in 2016 and we hope this is a relationship that will last long into the future. 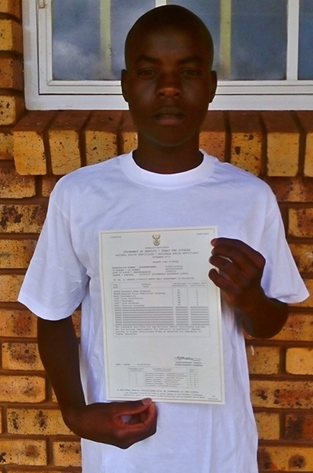 Isac Sithole is a learner from the Ikageng branch’s class of 2016, and obtained a Bachelor pass. He said that “IkamvaYouth has helped me realise that there’s a chance for me to make it in life no matter what. All I have to do is work hard and stay determined… I have learned that this life is for me to live independent of my circumstances. IkamvaYouth really helped me because it’s where I could get extra time to cover my school work because I was always behind and it also provided internet access which really helped in many ways. I am really thankful for that”. 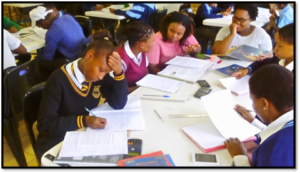 IkamvaYouth’s tutoring programme is available to learners from grades 9 -12, three times a week and for two weeks during the winter holidays. The tutoring programme is made possible thanks to the hearts and smarts of the amazing volunteer tutors; most of whom are university students and many of whom are ex-learners from the programme. The organisation operates in the North-West thanks to collaborative partnerships with its feeder schools, and supporters including Coca-Cola Beverages South Africa, in addition to tertiary institutions in the region, and schools which provide branch venues free of charge. IkamvaYouth is a non-profit organisation, enabling disadvantaged youth to pull themselves and each other out of poverty through education. 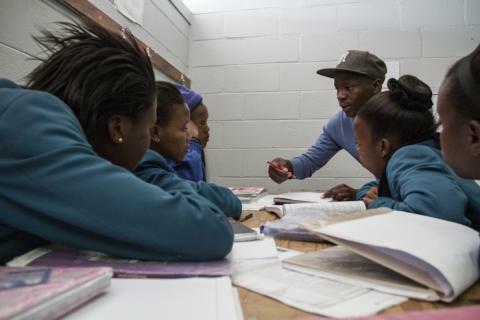 The organisation provides free after-school tutoring, career guidance, mentoring, computer literacy training and extra-curricular engagement to learners in grades 8-12. The organisation is currently operating in 16 townships in five provinces across South Africa. To find out more, go to www.ikamvayouth.org or call Hetile on 062 105 1707. Kamogelo Lebone Bakai is a learner from Ikageng in the North West. He achieved a bachelors pass and a distinction in the 2015 matric exams. 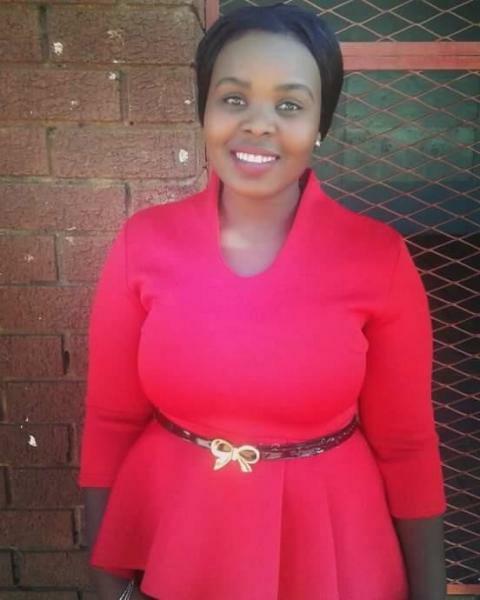 Kamogelo plans on pursuing a BCom Law degree at the University of the North West. This is his account of his matric and IkamvaYouth experience. I remember in 2014 when I received my results confirming my progression to Grade 12.The mixture of excitement and fear, excited because you are going to your last grade and fear because of the external pressures of what people expect of you and what you expect of yourself. When I began classes in January 2015 I was already mentally fit and determined enough to study hard to pass all my subjects. The teachers kept reminding us to work hard and reiterated that we stay focused and prepared as if we were writing finals. I followed their advice promptly and ensured emotional, spiritual, physical and mental aspects sync. The reason why I worked hard and emotionally and mentally prepared myself was because I lost both parents and live with my grandmother and grandfather. Throughout every drama and obstacle I faced, IkamvaYouth was like my second home and a space where I felt most liberated and accepted. The tutors were forever welcoming and both the Branch Assistant and Coordinator were always available to help us. Now… I am done with heavy school bags and my forever-needing-washing school uniform. So I walked on all those unknown rocky streets and I am still on my journey to a better road with fresh smelling scenery for my view. WHAT’S THE POINT OF LIVING IF YOU DON’T FEEL ALIVE? As can be seen in our Annual Report 2014 was the year of growth for us: our matric class was 63% bigger than the previous year, we reached over 1,700 learners and we opened our tenth branch. But let’s not forget why we are here, for most of South Africa’s children, the only way out of poverty is through education. Ikamvanites (IkamvaYouth learners) continue to prove that anyone and everyone – irrespective of the school one attends and the socio-economic status of one’s parents can achieve his dreams and escape poverty. Please read more in our 2014 annual report about the innovation of our model, why we need more Ikamvanites, hear from the Ikamvanites themselves and why our three largest donors of 2014 (Omidyar Network, Amalgamated Beverage Industries and Capitec Foundation) continue to support us. It is thanks to these donors and many others that we have been able to achieve the results that we have over the last 12 years. South Africa’s future rests on the success of our children. IkamvaYouth is fundraising to reach even more of South Africa’s children in 2016 and needs your support. Please contact me if you would like to discuss supporting IkamvaYouth or find out more about us.